The first of hundreds of electric car-sharing vehicles coming to Sacramento as part of Electrify America’s $44-million investment in the City were unveiled Nov. 1 at the Whispering Pines Apartments in Meadowview, an area in southwest Sacramento. Whispering Pines Apartments is a property of Visionary Home Builders of California, Inc. (VHB), which provides affordable, safe housing to low-income families. The gated apartments are located near shopping, dining and freeway access. The community has 96 apartments, consisting of 1, 2 and 3-bedrooms. Amenities include an onsite laundry facility, basketball court, security patrol and an Envoy electric car-sharing station. VHB is proud to have Electrify America’s program implemented at one of its properties. The corporate office of VHB is located in Stockton, California. Sacramento Mayor Darrell Steinberg, Electrify America and Envoy, an electric car-sharing company awarded funds by Electrify America, introduced the program’s first electric cars in early November. Residents of Whispering Pines Apartments will be able to rent the cars on a per-minute, per-hour or daily basis. 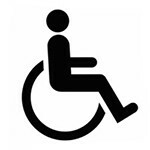 Tenants can access the vehicle through the “Envoy There” mobile application. Once the tenant has registered, they will choose their location and enter a property code provided by the property manager. Users must be 21 years or older, possess a valid driver’s license and have a debit or credit card. The cost to rent a vehicle is $0.15 per minute, and a fully-charged vehicle typically has a range of 100-200 miles. Envoy’s electric car-sharing service includes insurance for drivers with a valid driver’s license and a good driving record. "This will provide more independence, confidence and convenience to residents of the Whispering Pines Apartments. The availability of affordable transportation is an added benefit to our residents. We are excited to be involved with this forward-thinking, green initiative," said Carol Ornelas, CEO of Visionary Home Builders of California, Inc. Envoy is the first of two electric car-share initiatives Electrify America is supporting in Sacramento. By early 2019, Envoy will offer 142 Volkswagen e-Golf electric cars at 71 locations with “Level 2” charging stations. 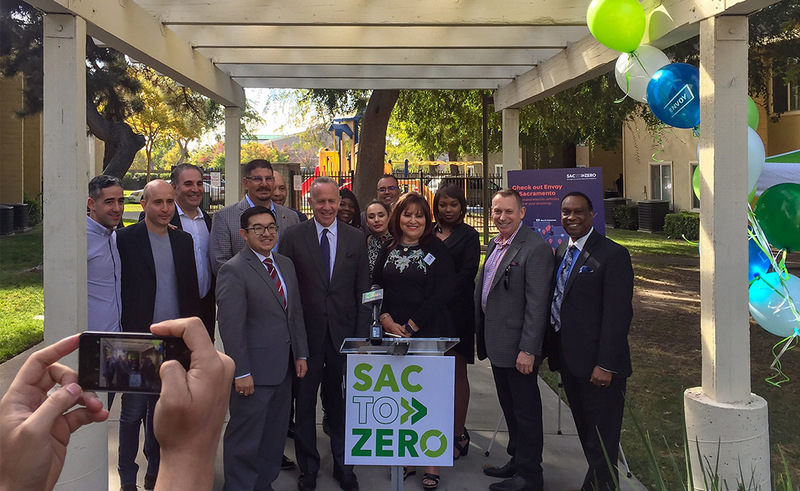 Electrify America and the City of Sacramento launched the “Sac-to-Zero” in early November, which aims to accelerate the use of shared “clean mobility” transportation. Electrify America is funding electric vehicle charging infrastructure, zero emissions car sharing and electric shuttle and bus programs. A second car-sharing company, Gig, plans to arrive in Sacramento in 2019 with 260 electric vehicles that can be picked up by customers and dropped off anywhere within a 13-mile home zone. Sac-to-Zero is the new name for Electrify America’s Green City initiative in Sacramento, which is part of the company’s California Cycle 1 Investment Plan. The City plans to increase access to zero-emissions vehicles (ZEVs), expand ZEV technology use and prepare Sacramento for future electric vehicle adoption. Over a 10-year period ending in 2027, Electrify America is investing $800 million in California to install electric vehicle-charging infrastructure and ZEV education and access programs in the U.S. The Sac-to-Zero initiative is a coordinated effort between Electrify America, the City of Sacramento and strategic e-transportation collaborators that include Envoy, GIG Car-Share, Sacramento Regional Transit, Yolo County Transportation District, Franklin Neighborhood Development Corporation and UC Davis. The Sac-to-Zero education and outreach campaign is being executed by a local communications firm, 3fold Communications.